Burgundy - what can it offer property buyers? Burgundy (Burgundy Property Guide) is a glorious region in the east of France. Its landscapes, which include 750 miles of waterways, castles and vineyards, are legendary, as are its wines and its rich gastronomy. The region is also famed for its religious sites, including Cluny Abbey. This is an abbey of such importance it was rebuilt three times in order to house the ever growing number of monks! The lifestyle of Burgundy is arguably the most desirable in France. It is the place to be if you appreciate wonderful, classic French dishes like Boeuf Bourguignon and Coq Au Vin; cheeses like Époisses and Chaource and, of course, wines like Chablis, Nuits St Georges and Beaune. The food and wine aside (if it can ever be peripheral to life in Burgundy!) the region has many more delights to offer. The built heritage is as rich as the gastronomy, so days can be spent visiting the abbeys, chateaux and towns. In fact the town of Dijon (Dijon Property Guide) has a remarkable 97 hectares of historic monuments, so that'll keep you busy sight seeing for a day or so! And leisure time in Burgundy is just as enjoyable. Walk, ride or cycle in the National Park. Or choose from around twenty golf courses to play a few holes (Best Golf Property for Sale in France), or settle down to some of the best fishing in France. Then you could also cruise the canals for a different way to discover the landscapes, or even take in the sights from the air in a hot air balloon. There is a popular perception that because Burgundy is packed with the finer things of life, then property there must be expensive. Actually, in 2018, this couldn't be farther from the truth. 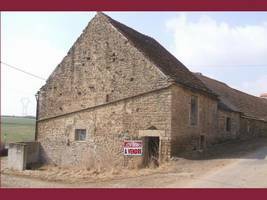 Cheap property in Burgundy does exist! The past few years have seen a return to sensible pricing of property, and this is evident in the properties we are seeing coming onto the market. Even those without much money to spend in these tight economic times, can realise a dream in the region just now. 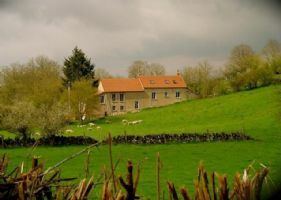 Incredible, unspoilt countryside is one of Burgundy's hallmarks. And, it doesn't get more incredibly beautiful than the Morvan National Park. We have many super properties right in the heart of this wonderful location, so you can guarantee that every day you can wake up to nature at its most glorious. But you don't have to base yourself in the National Park to enjoy views to die for in Burgundy. Great views come with the territory in this region, but if you find a property that seems designed to make the very best of them, it's a real bonus. 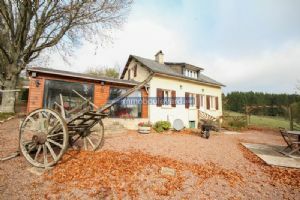 Bligny sur Ouche within 3 mn, beautiful barn which could make 100m² livable. DIY, get ready! Semi detached; Livable area approx. 100m²; Land area approx. 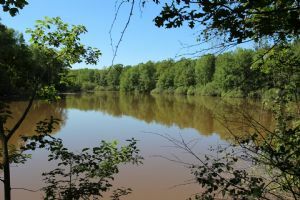 20m²; Water; Area: countryside. 2 bedroom cottage with garden on the edge of a village. 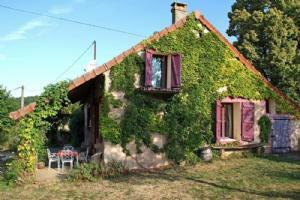 2 bedroom cottage with garden, situated on the edge of a village in a nice neighborhood. Free view at the countryside. This semi-detached house has on the ground floor a kitchen-dining, living with chimney and wood stove, 2 bedrooms, bathroom with toilet. 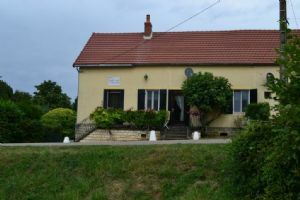 Cellar, large attic (about 60 m2), which can be converted. Nice original details, like beams, French tiles, parquet floors and cup boards. Everything in good condition (new roof, new electricity). 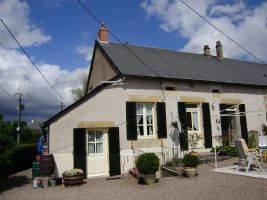 Authentic cottage (1869), smei-detached, with 5.307 m2 land, quiet situated on the edge of a friendly village. The house is in very good condition (new roof) and immediately habitable. Ground floor: equipped kitchen, reception room with en suite dining (together over 40 m2), bathroom and separated toilet. Upstairs one bedroom of 20 m2 with 2 dressings, for him and her, and a spacious bedroom of 42 m2 (which can be converted into two smaller rooms). 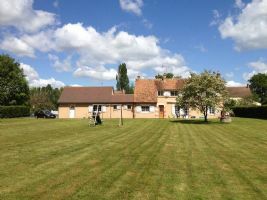 On a unique location is this beautiful house, well maintained and with lots of land. Ideal for horse lovers. Located at the end of a small road that leads into the forest.Anost 10 minutes away for daily groceries. Just 8 minutes from the Lac des Settons, one of the most beautiful lakes in the area. Saulieu 20 km. Chateau Chinon 24 km. Autun 30 km. TGV in Le Creusot at 1 hour drive. Paris at 275 km. Utrecht 740 km. 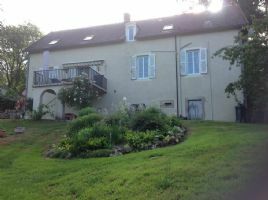 Nice renovated farmers' house at a plot of 6.600 m2, quiet situated at the end of a small road with dead end in a hamlet, near the Canal du Nivernais and two lakes. Two living partsThis property is suitable for two families or a touristic/artistic project, and consists of two parts. 1. Farmers' house, consisting of a reception room with American kitchen, bedroom, study and bathroom. Elegant property constructed in Late 1880, spacious 4 bed detached home, separate fitted kitchen, scullery, large lounge/diner, 3 separate shower/bathrooms, new roof in 2000, double glazed throughout, cellar, shutters to all ground floor windows/doors, swimming pool, large stone built dependence (new roof 2003 & repointed 2006), rear west facing terrace added in 2005 with outside lights. 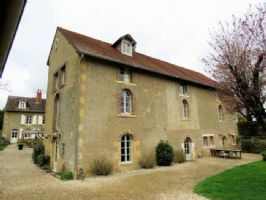 Mill, cottages, bed and breakfast on 6ha. river, tennis court.Close to a village with all commerce, you'll find this beautiful property, with its several buildings (bed and breakfast, guesthouse) to welcome your guests. The old mill was restored by the famous French architect M. Gallet, retaining all the mechanism of the mill and the original pieces.The Mill:The mill is separated in 2 parties, by a laundry / boiler room.